The Autumn Sunday coaching starts at 9.30 Sunday 8 Oct. The summer coaching has been excellent with many of the attendees joining the Trimpley Sailing Club and taking advantage of the last RYA level one course this year. 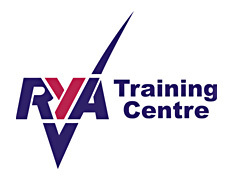 Well done to all those who gained RYA level 1. The autumn coaching is for TSC members or those with an application processing. This session is a great opportunity to become familiar with your chosen craft with lots of helpful advice and safety cover. The session finishes at 11.30 this allows a little time before the 12 o’clock race starts. Please stay on and follow the races it is surprising how much you can pick up doing this. Please bring warm clothing the wind is chilly, though the water still feels ok, a Wetsuit and Spray top is ideal. Bring spare clothes and a towel.